Local artists asked to paint this "box" to help raise funds for the Berea Educaction Foundation Annual Auction. 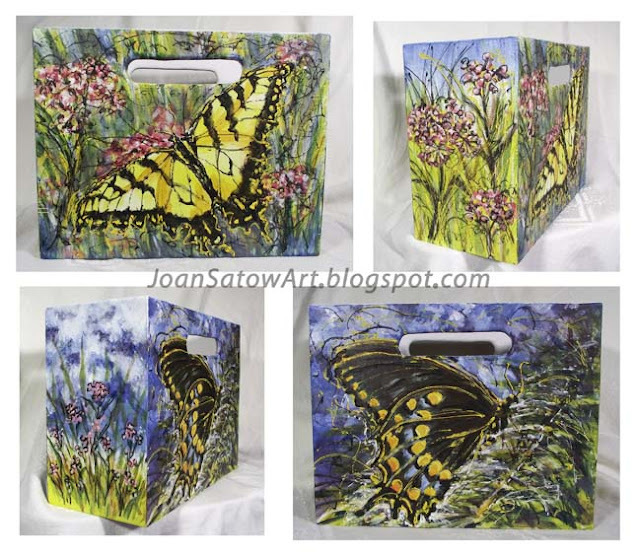 My "box" is an artistic expression of nature and it's inspiration of warmer weather. Expressive colors, lines and brush strokes indicating butterflies and their natural environment. The images are referenced from photos I personally shot here in the Cleveland area.